A bank robber narrowly escaped pursuing cops in Boystown on Wednesday afternoon. Police said a man handed a note to a teller at the TCF Bank inside Jewel-Osco, 3531 North Broadway, around 1:30 p.m. The note stated that he had a gun and demanded cash. The teller handed the man a bundle of cash with a hidden GPS tracker that led police to the alley between the 700 blocks of West Cornelia and West Brompton, just east of Halsted Street. Police recovered cash, the GPS device, a torn-up demand note, a surgical mask, a sweatshirt, and other evidence in the alley. But the robber was nowhere to be found. According to the FBI, a robber is a black man in his 20’s with a slight build. It’s nice to see that the bank, which is one of the most frequently robbed on the North Side, has installed much better cameras since the last time it was held up. 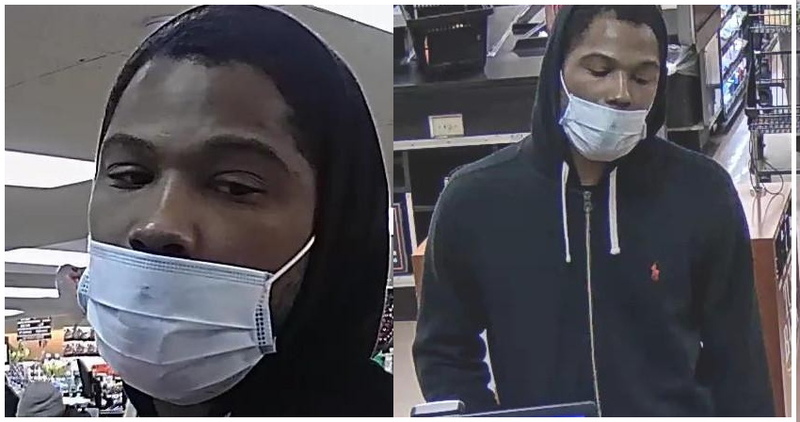 The FBI is offering a reward of up to $1,000 for information leading directly to the arrest of the robber. Anyone with information regarding the incident should contact the FBI's Chicago Field Office at (312) 421-6700.